4 nights’ accommodation at a selection of central Singapore CBD hotels – View Hotel Locations – View Hotel Pricing. Check In: Thursday 19th September, 2019. 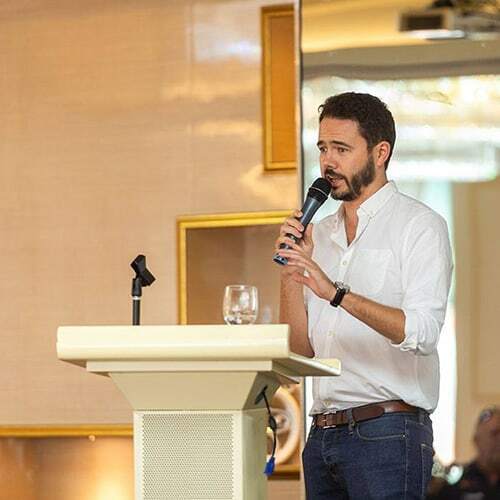 Check Out: Monday 23rd September, 2019. 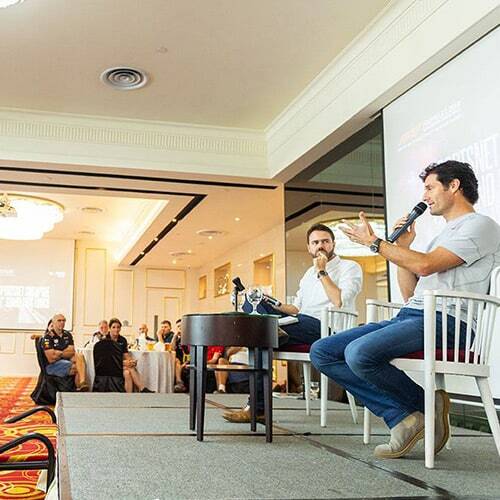 Interview with our special guest Formula 1 legend. 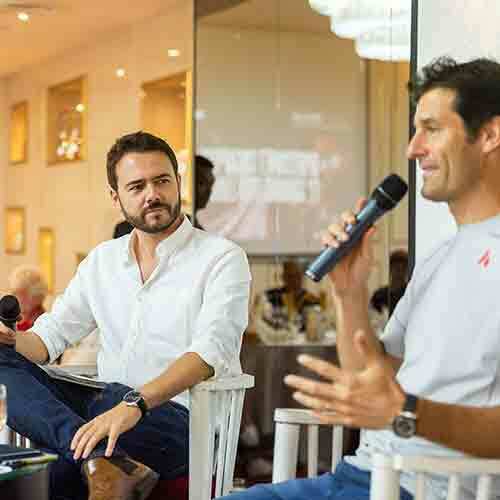 Past guests have included Mark Webber (2018), David Coulthard (2017 and 2015) and Damon Hill (2016)! 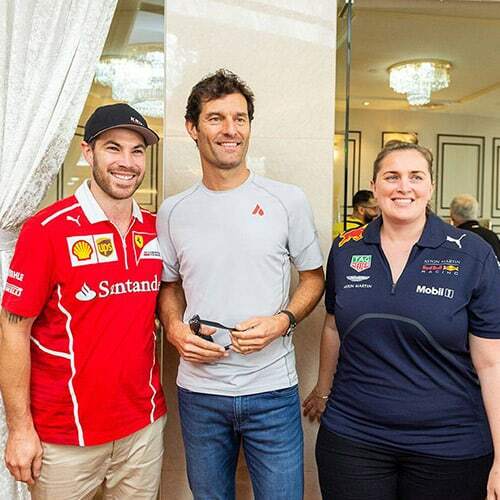 Overview of the FORMULA 1 SINGAPORE AIRLINES SINGAPORE GRAND PRIX 2019. Beverages including beers, wine, soft drinks and juices. Opportunity to meet fellow Sportsnet travellers. Great prizes to be won and more! 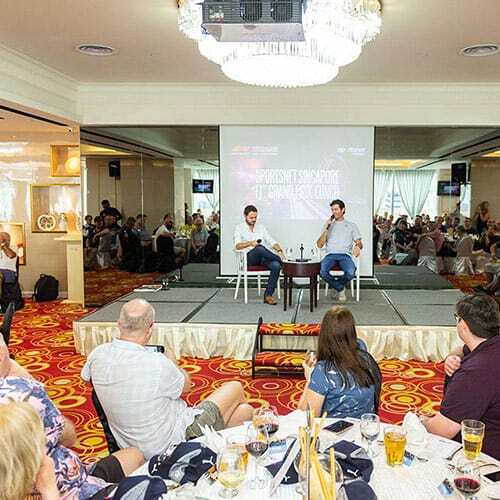 View photos from the 2018 Annual Singapore Grand Prix Lunch. 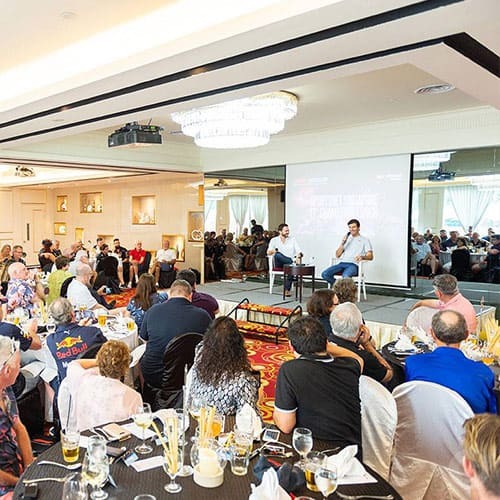 3-Day Bay Grandstand ticket to the FORMULA 1 SINGAPORE AIRLINES SINGAPORE GRAND PRIX 2019 (access to Zones 3 and 4 only) – View Ticket Upgrades. Access to the Padang Main stage for the Friday, Saturday and Sunday after race concerts. Sightseeing Tour – 1 Day Hop On Hop Off Pass. The FunVee Hopper Open Top Bus covers all the major attractions in the city of Singapore including: Merlion Park, Chinatown, Clarke Quay, Orchard Road, Botanic Gardens, Marina Bay Sands, Gardens by the Bay, Marina Barrage, Little India, Kampong Glam, Haji Lane, Raffles Hotel, Mount Faber, Resort World Sentosa – Universal Studios Singapore, S.E.A Aquarium, Sentosa Island, Singapore Flyer plus many more. 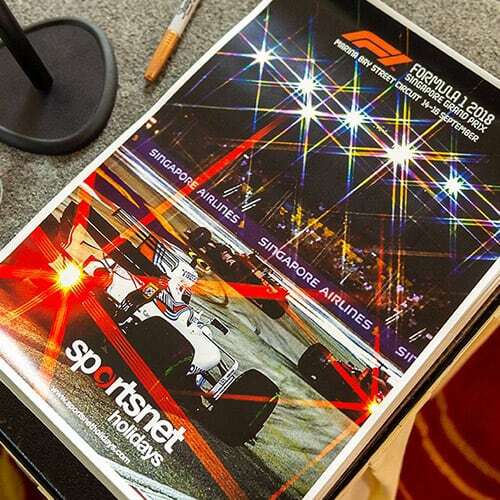 FORMULA 1 SINGAPORE AIRLINES SINGAPORE GRAND PRIX 2019 Official Event Programme. The Stamford Grandstand boasts several excellent vantage points, which include views of the cars negotiating Turns 7 and 8. The cars brake from nearly 300km/h as they exit the DRS activation zone and approach the Memorial (Turn 7) at 110km/h for the third gear left-hander onto Nicoll Highway. The Memorial (Turn 7), which offers potential overtaking opportunities, has seen its fair share of exhilarating action. You will have access to Zone 4 only. Situated in the heart of Singapore's Civic District in front of the Victoria Theatre and Concert Hall, the Circuit Park's 10th grandstand - the Empress Grandstand - offers spectacular views of the cars slowing down between Turns 11 and 12 of the Marina Bay Street Circuit before entering the vaulted arch of the historical Anderson Bridge. 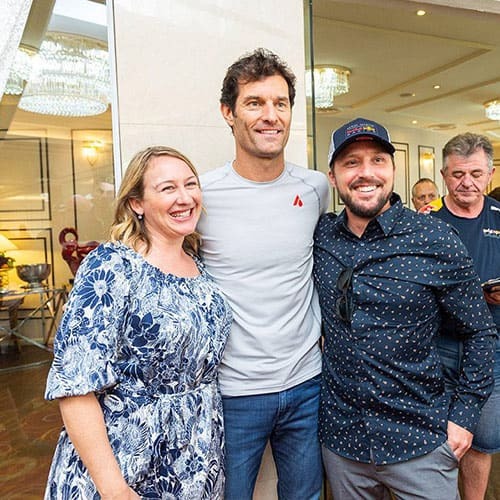 Spectators can look forward to closer racing and potential overtaking opportunities on track, as well as new public spaces around the rejuvenated arts, lifestyle and cultural precinct. Empress Grandstand patrons can also explore Zone 4 of the Circuit Park, which includes key attractions, food and beverage offerings as well as entertainment along Connaught Drive, within Esplanade Park, on the Padang main stage as well as at the Esplanade Theatres on the Bay. Situated on the driver's left, the Padang Grandstand offers a great view of the cars racing past the iconic City Hall and old Supreme Court at about 240km/h as they head towards the Singapore Sling (Turn 10). Being in the Padang Grandstand, you will enjoy the close proximity to the Padang Stage which hosts full-length concerts by headlining acts nightly. Other attractions in Zone 4 included F1 Village and Dockside Hawkers. The Connaught Grandstand has superb views of the Formula One cars racing across the Esplanade Bridge at speeds of up to 280km/h, and jostling for overtaking opportunities at the Turn 14 right-hander. This tight corner was the scene of an incident in 2009 involving Adrian Sutil, Nick Heidfeld and Jaime Alguersuari, which forced a premature retirement for Sutil in the race. 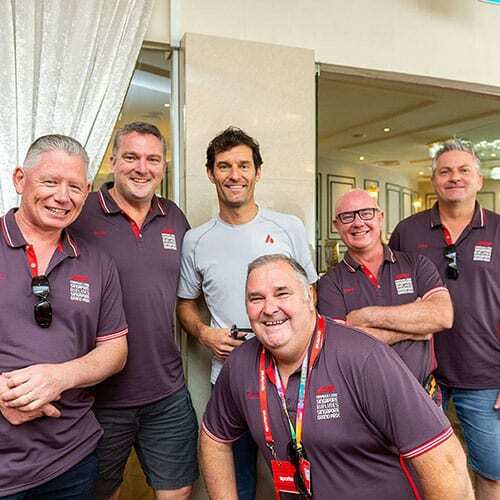 To enjoy the best of what the Marina Bay Street Circuit has to offer, you can opt for the Combination Package which provides flexibility to explore different parts of the street circuit on each of the three days. Please note: The grandstands provide access to different zones over the three days. Turn 1 spectators will be able to witness up-close the sheer skill of a Formula One driver. As the drivers jostle for the best position at Sheares (Turn 1) at the start of the race, spectators will experience the awesome braking power of a Formula One car as they negotiate the first corner after reaching speeds of 290km/h along the Pit Straight. You will have access to Zone 1, 2, 3 and 4. With a superior vantage view of the first three turns of the track and of the cars exiting the Pit Lane, this is where skilled racing manoeuvring will keep fans on the edge of their seats. Being in the Turn 2 Grandstand, you will get a great view of the oncoming cars as they approach Sheares (Turn 1) from 290km/h. The cars will then negotiate Turn 2 before slowing down to 90km/h at Turn 3. Situated along the Pit Straight with superb views of the team garages, you are in an excellent position to catch the adrenaline-pumping action and enjoy great views of the Pit Lane, starting grid and finish line. Join in the celebrations on the track after the race and witness the crowning of a champion. Located at the end of the first set of turns, the Turn 3 Premier Grandstand offers views of the cars as they compete for overtaking opportunities at Sheares (Turn 1) before braking to 90km/h as they tackle Turn 3, pick up speed and go full throttle down Republic Boulevard. Spectators will also be able to see the Formula One TM cars re-join the action on the track as they exit the Pit Lane at Turn 2. The Turn 3 Premier Grandstand offers an upgraded experience for those who want to be close to the action while enjoying more exclusivity and convenience. 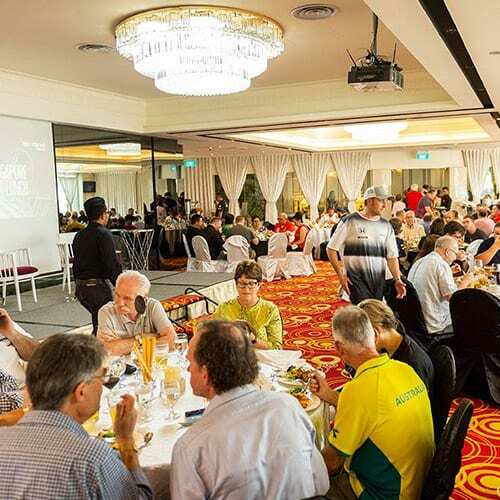 Each ticket includes 2 meal vouchers, 2 snack vouchers and 5 drink vouchers per day (beer, wine or soft drinks), which can be redeemed at the premium food and beverage facilities adjacent to the grandstand, or at the dedicated bars. Patrons will also receive an amenity pack daily m with quality earplugs, poncho and other amenities. To top it off, patrons will enjoy wider cushioned seats and have exclusive access to executive restroom facilities. Patrons have access to Zone 1, 2, 3 and 4. Over the race weekend, enjoy prime views at your Super Pit Grandstand seat facing the Mercedes-AMG Petronas Motorsport garage where you will be in an excellent position to catch the adrenaline-pumping action on the Pit Straight and of the Mercedes-AMG Petronas Motorsport Team in action. The Lounge @ Turn 3 invites you to unwind in a unique hospitality offering by Singapore GP. 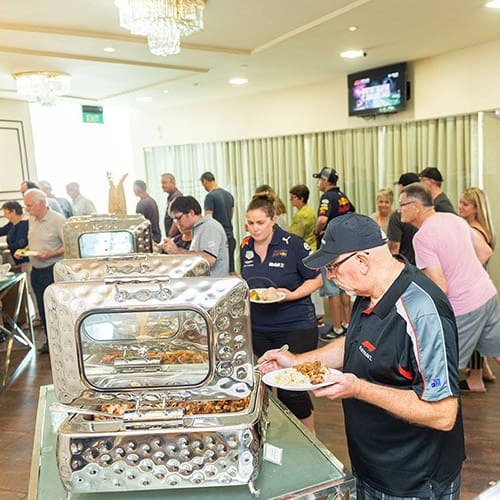 Strategically located just a stone's throw from the Circuit Park's second largest entertainment zone, the Village Stage and the F1 Village, the lounge offers you the perfect environment to take a respite from the hustle and bustle of the day's activities. Here you can relax and enjoy free flow of wines, beers and soft drinks in air-conditioned comfort between races or follow every second of the track activities via live television screening indoors. To get even closer to the race action, head outdoors to the Turn 3 Premier Grandstand just behind where you can witness the adrenaline pumping action along the first three corners of the Marina Bay Street Circuit. You will have access to Zones 1, 2, 3 and 4. The Green Room offers views of the cars coming out of Sheares (Turn 1) and jostling for overtaking opportunities, before decelerating to 90km/h as they tackle Turn 3, pick up speed and go full throttle down Republic Boulevard. With industrial-luxe aesthetics, pulsating beats, numerous food and beverage options and multiple entertainment areas, the edgy new hospitality concept Twenty3 is the latest offering to complement the electrifying ambience at the Marina Bay. Over at the duplex lounge, a resident DJ will spin adrenaline-pumping tracks and house music, setting the tone for the weekend. Here, you can let your hair down, take a break and sink into the stylish plush seating to chill out and follow the thrilling race actions, or head to the feature bar to mingle over craft beers and signature cocktails. Overlooking the team garages, starting grid and the paddock, the Formula One Paddock Club is the ideal spot to witness the pit crew in action just below, as well as the spectacular race to the finish line. Each suite has wall-to-wall windows overlooking the Pit Lane and is fitted with luxury furnishings and plasma screens for live race feeds. Guests can also enjoy an up-close view of the Formula One cars as they exit the Pit Lane - mere metres away at the exclusive Formula One Paddock Club grandstand. With the Zone 4 Walkabout you will enjoy unparalleled views of the exciting race action from specially designed viewing platforms in strategic trackside locations that maximise viewing opportunities. 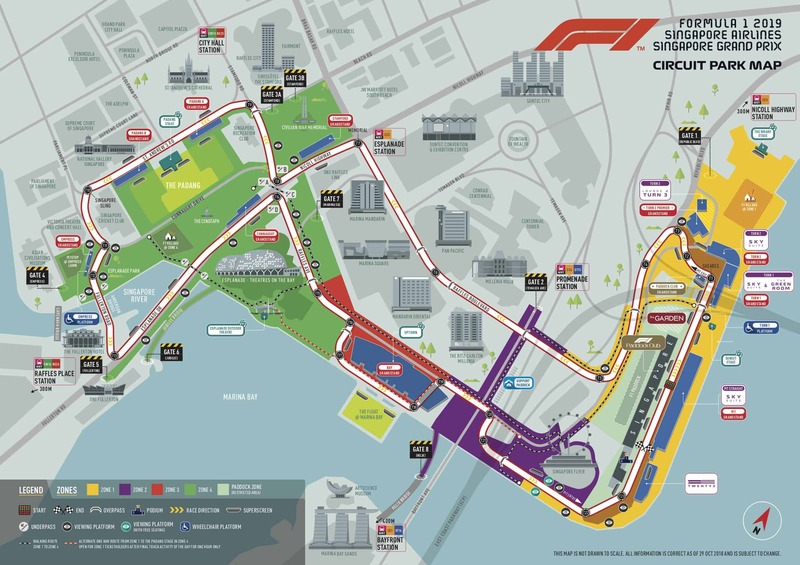 This ticket allows you to choose your preferred spot to watch the race up-close or roam around Zone 4 to catch different perspectives of the challenging twists and turns of the Marina Bay Street Circuit. Zone 4 Walkabout tickets are also ideal for fans who want to catch the daily performances from international headlining acts at the Padang Stage, as well as the roving entertainment in Zone 4. You will have access to Zone 4. Fans can catch the action from viewing platforms that are strategically located throughout the Circuit Park, including the first and final sequence of corners, the Pit Lane entry and exit, as well as along the sweeping right-hander at Turn 5. With Premier Walkabout tickets you can also indulge in a multitude of entertainment, food and beverage offerings across the entire Circuit Park over the three days. A. Marina Bay Street Circuit, Singapore. 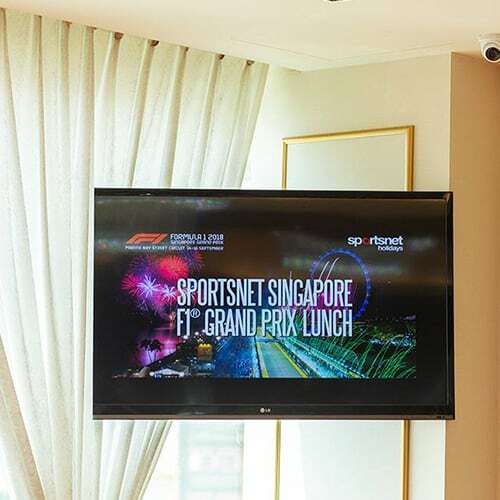 A. Sportsnet Holidays is an Official Overseas Ticketing Agent for the 2019 Formula 1 Singapore Grand Prix. A. No, unfortunately the function cannot be removed. A. 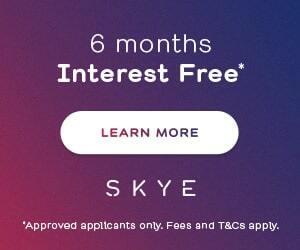 No, flights and pre paid taxes are not included in the package however they can be added. Please speak to your expert consultant. A. No, airport transfers are not included in the package however they can be added should you book flights through Sportsnet Holidays. A. No, transfers are not included to the event. However all hotels are located within walking distance to the circuit. A. Like most of Southeast Asia, it’s hot and humid year round. Singapore’s average daytime temperature is 31⁰C, dropping to around 24⁰C in the evenings. Torrential downpours are common, but are quickly replaced by sunshine. Please click map to view a larger size in a new tab.